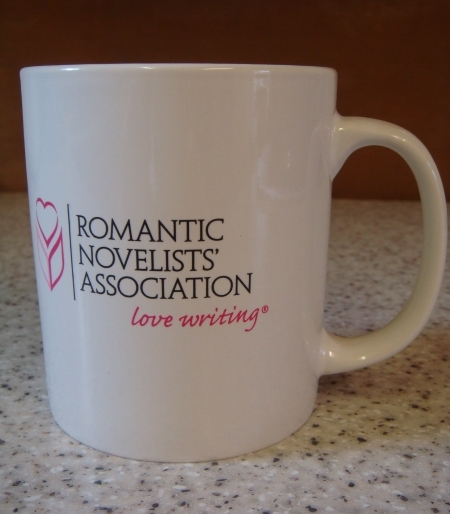 I’ve belonged to The Romantic Novelists’ Association for years, but it was only when my local chapter (the Marcher) persuaded me to attend the annual conference on a day-ticket last year that I realised what I’d been missing. After that, I made sure I signed up for the whole three days of the 2015 adventure as soon as the list opened. This year’s conference was held over a long weekend, 10th-12th July. I got back home yesterday, and my brain is still 100% Conference Custard. This year’s conference was held at Queen Mary’s University, Mile End, in East London. Delegates could stay in student accommodation on the campus. The rooms were perfect for a short stay–clean, functional and within yards of the campus shop, laundry, cafe and bar. Oops—I nearly forgot. The residential blocks are all handy for dropping into the lecture theatres, too! I’m not sure how the students manage for whole terms, though. The racket echoing around the concrete canyons of the campus from revellers straggling back from the pub each night made it impossible for this country mouse to sleep with the window open. The double glazing shut out almost all the noise, so with the window closed I managed some writing until it got too hot inside the room. At first light there were some peaceful places around the campus for working. Luckily most of my stay was cool and cloudy, but for a couple of sultry nights I didn’t get any sleep, or any writing done either, as there was no rest from the racket! Jan Jones, Roger Sanderson, Jenny Barden and their RNA team plan these events years in advance, so the strike of London Underground workers called for 9th July was a real pain. It was the day when most people would be arriving at the campus. Worse still, mainline trains running from the west of the country into London were cancelled, too. People like me who live right out in the shires hadn’t a hope of getting to the university, as the total lack of parking space there meant bringing a car wasn’t an option. I went up to London a day early to avoid the problems, and spent the extra time helping distribute complimentary tea, coffee, milk and sugar around the delegates’ accommodation. 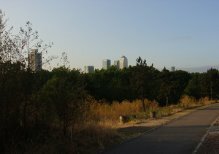 On Thursday, while other people were battling their way to the university on foot, in taxis or by bus, I went for a long walk in an oasis of calm called the Jubilee Greenway. At Mile End, it’s been formed from previously derelict land. I particularly liked the Green Bridge, which goes over the main A11. I’d walked straight across it before I realised I was crossing only a few feet above a busy arterial road! Traffic sounds are muffled by plantings of gorse and birch trees on the Green Bridge. Its greenery supports a lot of warblers, wrens and other birds, while crickets sizzle in the grass beneath the plants. I was already having a whale of a time, and the conference hadn’t even started! Friday was an industry special. There was a panel of agents discussing their part in an author’s career, and talks by editors, publishers, mass book buyers and reviewers. Workshops on character development, finding your writing voice, how to promote yourself, your brand, and your book filled the rest of the weekend. You could learn to punctuate with confidence with Jenny Haddon and Elizabeth Hawksley, experience the intricacies of dressing like a Geisha with Pia Fenton and Sue Moorcroft, or discover the ins and outs of Victorian clothing with Mireille Weller. Saturday Evening’s Gala dinner gave the 300 delegates a chance to dress up and glitter. Everyone looked fantastic. The heels of Christina Courtenay’s beautiful stilettos were exclamation marks of elegance. John Jackson, star of Twitter, the New Writers’ Scheme, RNA Blogs and much more, came dressed for the Duchess Of Richmond’s ball. 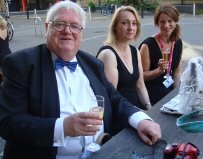 If that wasn’t heroic enough, he brought all sorts of wonderful things with him and created champagne cocktails (the best I’ve ever tasted) right there in the university’s sun-drenched plaza. Actually, it might have been pouring with rain— John’s cocktails stop you noticing the weather. They are that good. Believe me. The Gala Dinner was held beneath the spectacular vault of books contained in the university’s grand Octagon library. Putting faces to the names of people I’ve only met online, or on the cover of their books, was amazing. I loved every second of the conference, so picking a favourite session is almost impossible. Two, though, stand out in my memory. Jane Wenham Jones did a workshop based around her book Wanna Be A Writer We’ve Heard Of? which was full of tips and wrinkles for promoting your work. To put them into practice you’ve got to look confident and outgoing (even if you aren’t). This is where Janie Millman’s session Present Yourself was a real help to me. Among other things, I learned to project my voice by jumping up and down and grunting like a Neanderthal. Doing this along with thirty other people—most of whom I’d never met before—was a crash course in shedding inhibitions. In the penultimate session I went to, Alison May urged us to get out of our comfort zones. Normally I shrink in my seat when anyone says that, but this time Alison was preaching to the choir—I’d already left my inhibitions back in Janie’s session, the day before! One of the many important things I learned from the RNA conference is a fancy trick with Amazon links, which you can do via Booklinker. If you click on this link: getBook.at/Her_Royal_Risk you should see details which work for all Amazon stores, in whichever country you live. That sounds like magic to me. Could you try it out for me, and let me know if it really works? Thanks!